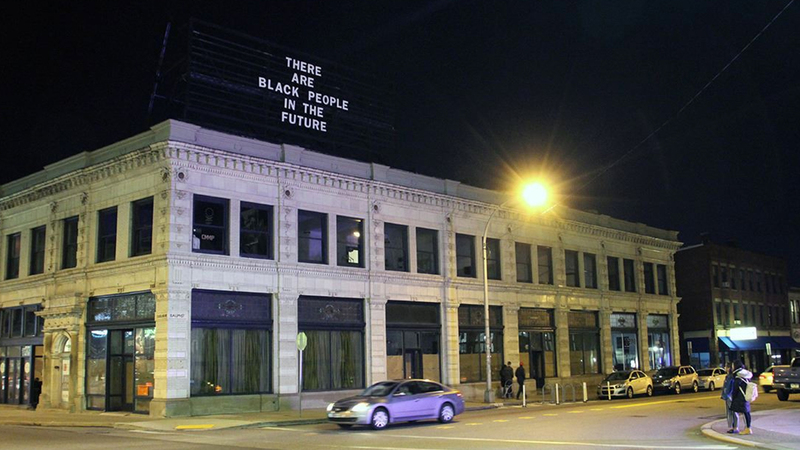 Stemming from the public response to the removal of her text “There are Black People in the Future” from Professor Jon Rubin‘s “The Last Billboard” project, Professor Alisha Wormsley will run a new artwork-in-residence grant program. The program—funded by The Heinz Endowments with project management and staff support from the Office of Public Art—will provide 10 microgrants of $1,200 for artists, teachers and community members to implement their proposals, with additional funds available on a case-by-case basis. The application specifies that the residency “will focus on the predominantly Black and African-American neighborhoods proximal to the artwork’s former location that have been most directly affected by the rapid transformation of East Liberty and the social, cultural, and physical displacement that community members have experienced” and applicants should live or work in East Liberty, Bloomfield, Garfield, Larimer or Homewood.